Chinese smartphone maker seem to have silently unveiled a Mini version of the Axon 7 flagship phone which was released earlier on this year. Tagged ZTE Axon 7 Mini, the smartphone was spotted listed on an online retailer’s shop in Germany, clutching a 299 Euros price tag. 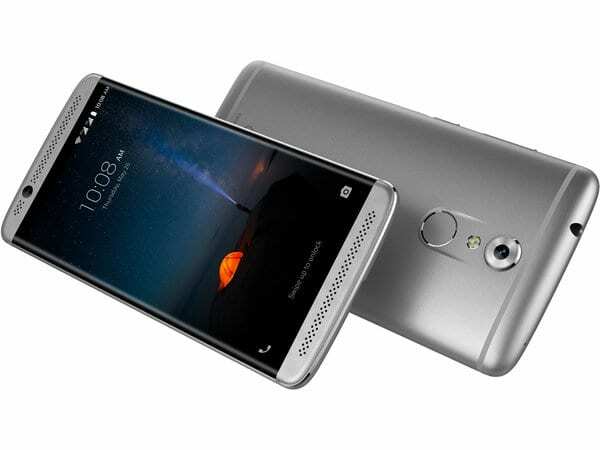 The ZTE Axon 7 Mini comes with a 5.2-inch AMOLED display with a resolution of 1080 pixels and 2.5D glass, whereas the Axon 7 flagship has a 5.5-inch display. The Axon 7 Mini comes with an all-metal body design with the same bezel-less design that heralded the Axon 7, as well as the beautiful dual speaker grills at the bottom edge. Powering the Axon 7 Mini is a Snapdragon 617 processor which is backed by 3GB of RAM and 32GB of built-in storage, expandable up to 128GB through a microSD card. The smartphone runs on Android 6.0 Marshmallow operating system out-of-the-box and also there is a fingerprint sensor at the back. On the camera aspect, the ZTE Axon 7 Mini sports a 13-megapixel main camera unit at the rear with LED flash and up front, there is an 8-megapixel selfie camera sensor. Providing the power supply is an ample 2800mAh battery and connectivity options available include Wi-Fi, 4G LTE, 3G, Bluetooth and a host of others. On the price category, the ZTE Axon 7 Mini which comes in gold and silver colour variants, carries a price tag of 299 Euros ($330) and the smartphone is already available in Germany. ZTE is expected to officially announce the smartphone officially in the coming days and the device will likely hit other markets aside Europe soon.